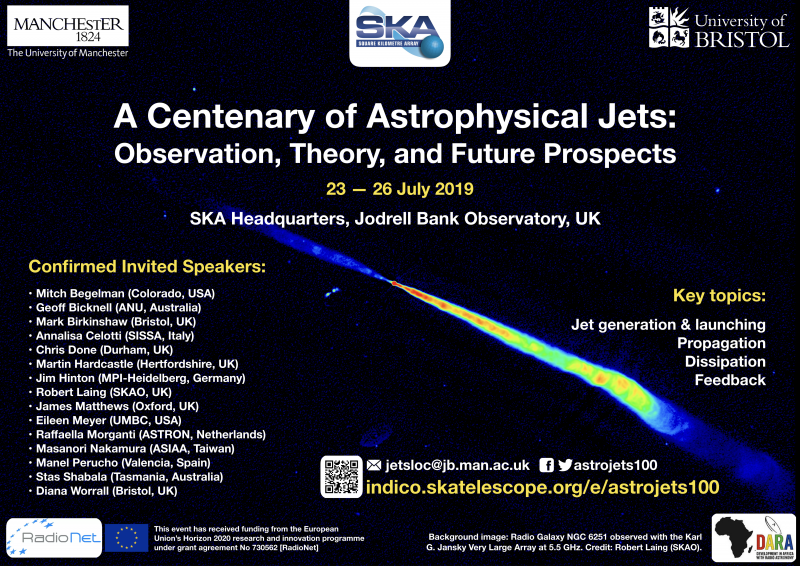 RadioNet is the main sponsors of the conference A Centenary of Astrophysical Jets: Observation, Theory, & Future Prospects, which will take place on 23-26 July 2019 in Jodrell Bank. The RadioNet infrastructures (e-MERLIN, EVN, LOFAR) as well as beneficiaries have contributed immensely towards the scientific inquiry into astrophysical jets over the past decades. The conference provides an ideal platform to highlight these contributions. Additionally, the conference will bring together multi-wavelength observers and theorists from around the globe; it would contribute to the collaborations across the electromagnetic spectrum.